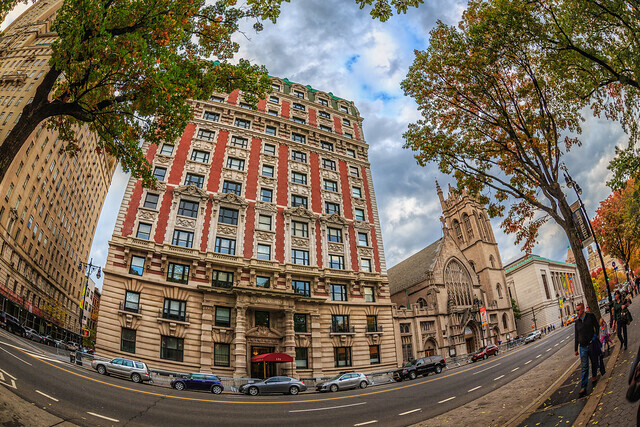 A fisheye lens takes in a very wide scene and distorts it to make the edges curve. 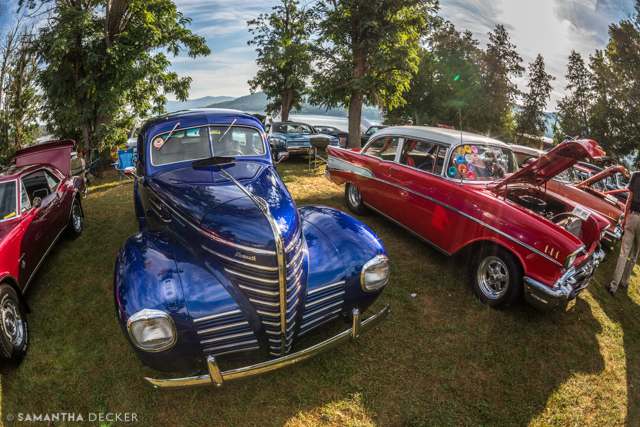 I like to use it to capture wide scenes from above, like these classic cars above and the scene at the Saratoga Race Course below. I hold the camera over my head to get this vantage point. 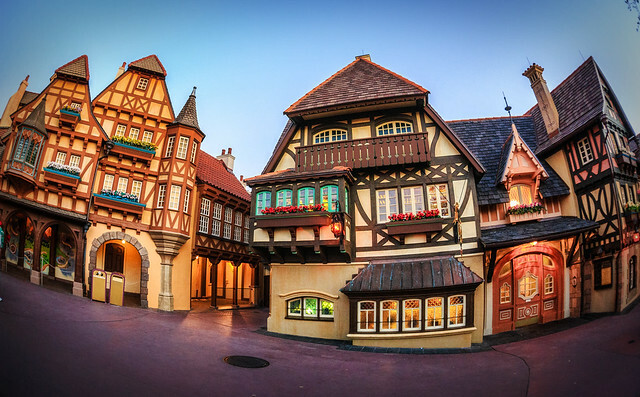 Fisheye lenses work well in whimsical settings. 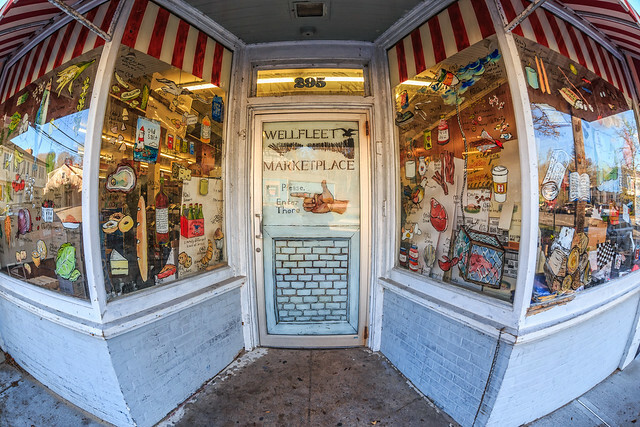 The drawings on the window of this grocery store on Cape Cod have that sort of feeling, so the fisheye helped to enhance it. 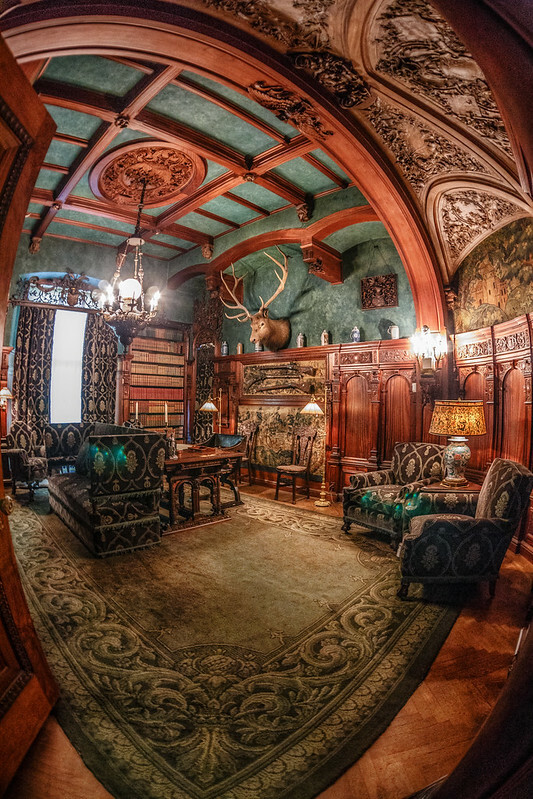 The photo I took above of the sitting room at the Vanderbilt Mansion in Hyde Park, NY, is one of my most popular. Since we weren't allowed in all the rooms, the fisheye allowed me to take in a wide scene, and it also added some interesting curvature. 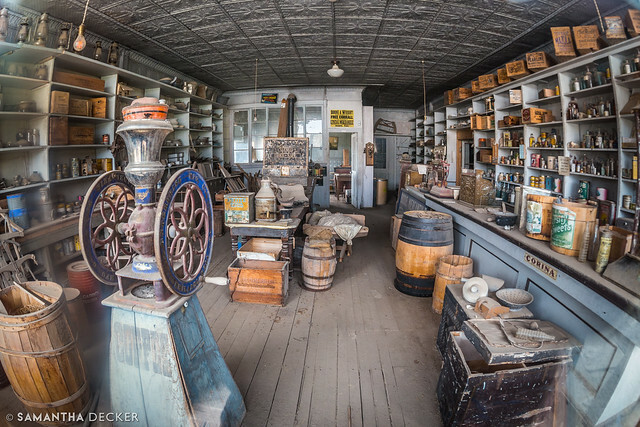 At Bodie Ghost Town in California, visitors aren't allowed to go in most of the buildings, so the fisheye lens allowed me to capture a lot through the window. 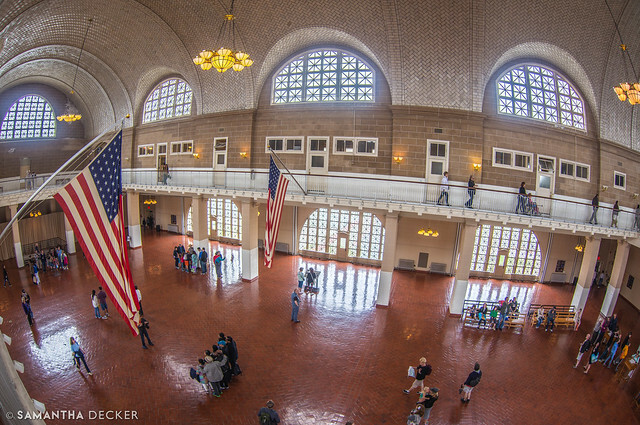 Looking down at the Registration Room at Ellis Island, I took out my fisheye lens for a different perspective since I had already taken a photo down below with my 16-35. 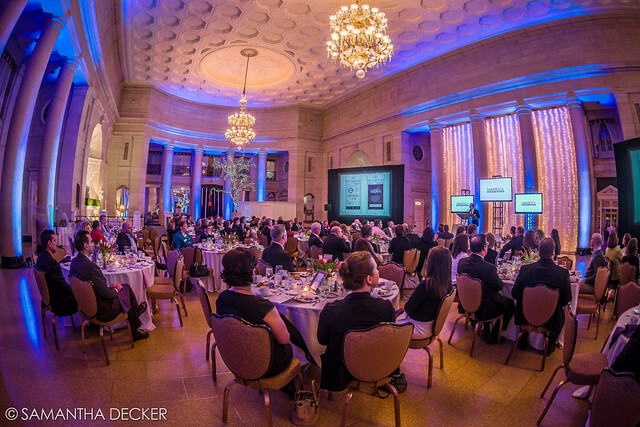 Even at events, I find the fisheye offers a chance at more variety in shots when paired with a traditional wide angle lens. 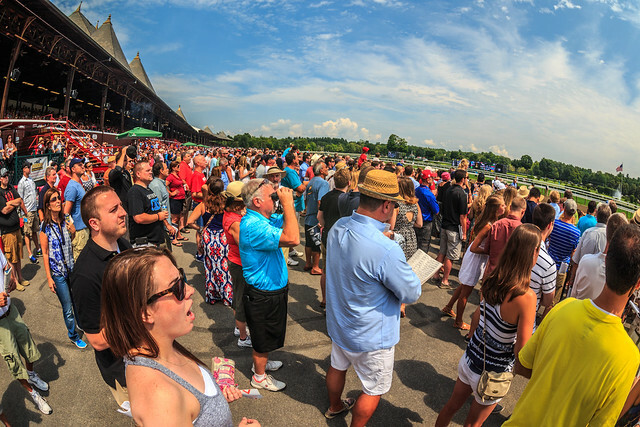 After taking a few shots with my 16-35 at the Saratoga Convention and Tourism Bureau's Annual Meeting, I switched to the fisheye, and ended up liking those images even more. 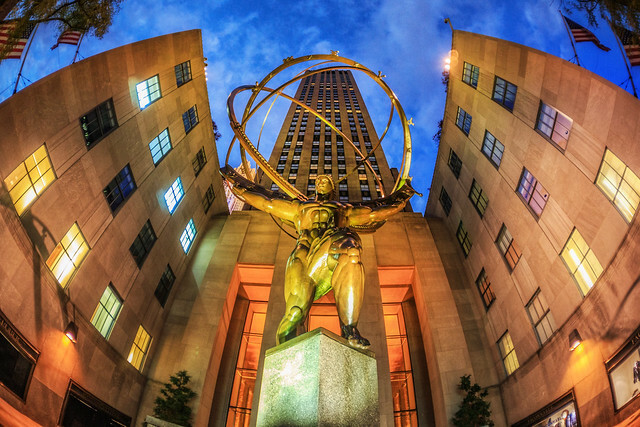 New York City is one of my favorite places to use the fisheye lens. As I mentioned previously in my framing post, the foliage and buildings seem to wrap around the top of the photo, framing the scene quite nicely. 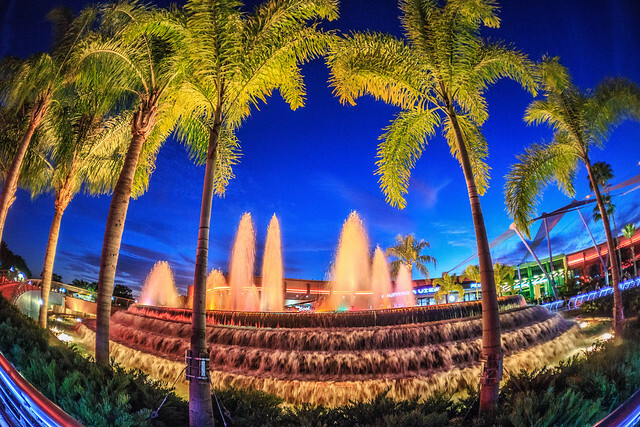 Another fun location to use the fisheye lens is at Walt Disney World. The whimsical (I know I use that word a lot) nature of the buildings and façades really lend themselves to this kind of photography. 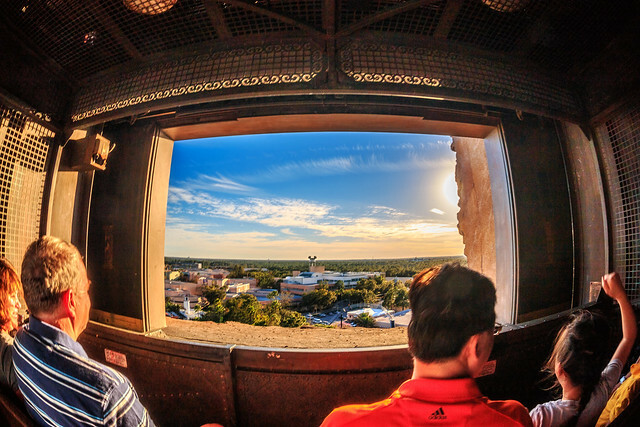 I had already photographed the Tower of Terror ride with several other lenses, so the fisheye made its debut in the above photo. I'm not afraid to snap a pic before dropping several stories! 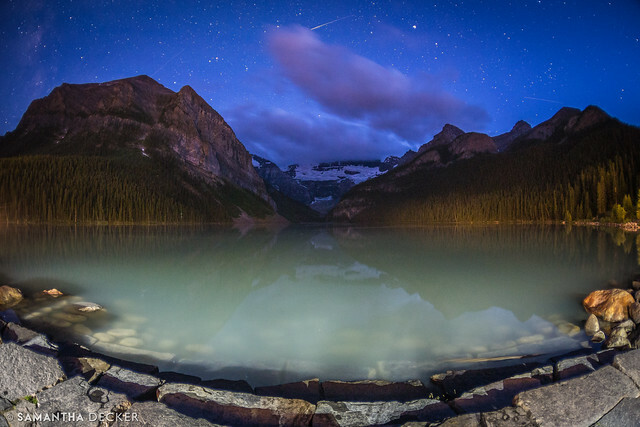 Sometimes you can't even tell a photo is shot with a fisheye, like the one above I took at Lake Louise. If you put the horizon at the center, it doesn't bend. It still managed to capture a much wider view than my 16-35mm lens could have. Sometimes, you take a photo with a fisheye lens and then you decide you want to "defish" it, and make it look like a regular photo. There are a couple of ways to do this. 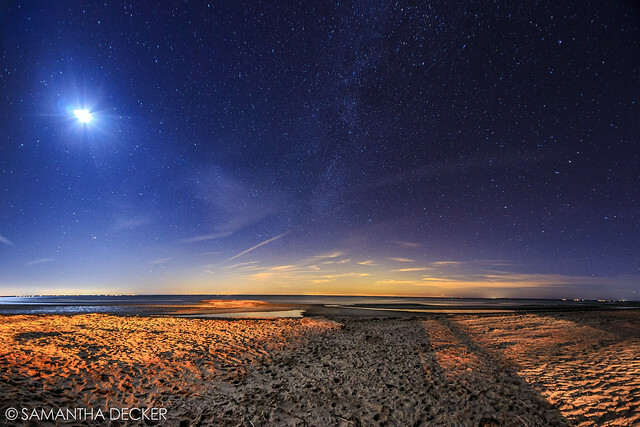 In the photo above at First Encounter Beach on Cape Cod, I simply did it myself in photoshop using the warp tool. In the photo below at Saratoga Spa State Park, I used a trial of PTLens. I did not end up purchasing the program, because I wasn't happy with the distortion at the edges of the image (unavoidable I suppose). Do you like fisheye photos? 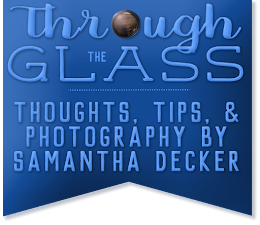 Do you use a fisheye lens?